The UN sends reporters round the world to film some of the world’s most important and under-reported stories for its flagship broadcast “21st Century” which goes out to major broadcasters round the world. We travelled with Amina Souleiman, a Somali woman who gained political asylum in the UK during Somalia’s civil war in the 1990s. She now spends half her year helping women in her homeland stand up for their rights. The UN Democracy Fund is financing her project. It’s a remarkable initiative, though each step forward has to be patient and small, and is met by resistance from the male village elders. We met Sahra – an impressive, highly intelligent woman, a shepherd with no formal education and one of the leading lights in the village. Sahra is one of Amina’s protegés. 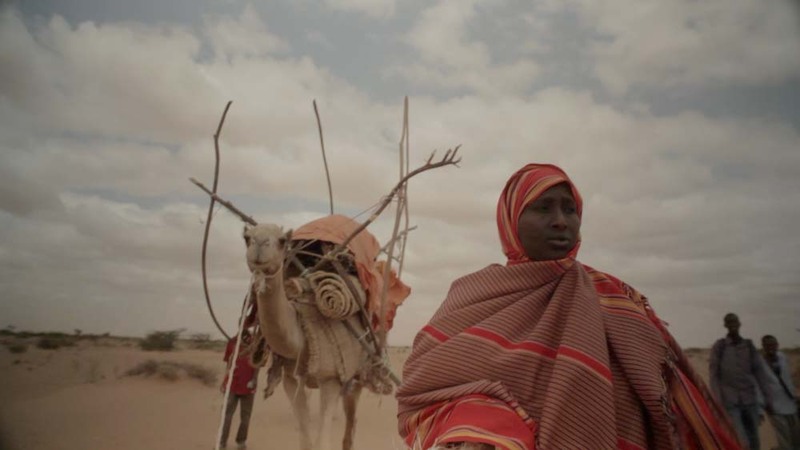 Amina, Sahra and the village women are determined this won’t happen to them. Holding regular women’s circles, they are asserting their rights with the village elders, and arguing for access to school and land. Already, they have installed five women teachers in the village school for the first time. Next they plan to build a hospital – money will have to be raised internationally by Amina. Read more about the filming and the documentary on the “UNTV: Diaries from the Field” blog.